Information about publishing content, or converting formats and file types. 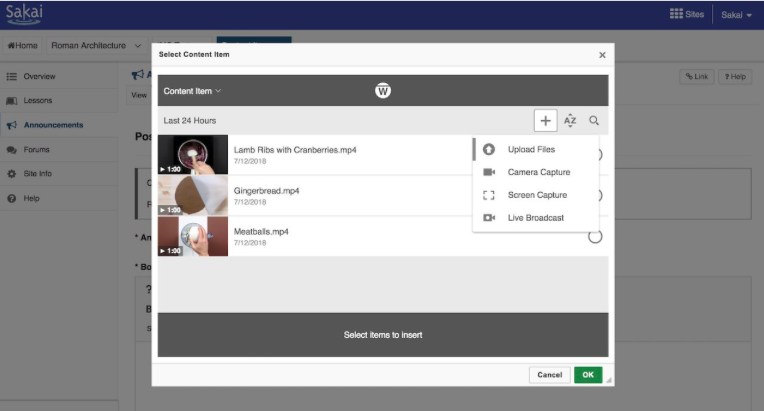 Warpwire is a media platform that helps educators and their students connect through video while keeping their content secure. Warpwire can be used as a tool on your Sakai course site for uploading, sharing, and streaming video files. Click here for an in-depth guide to using Warpwire in Sakai.